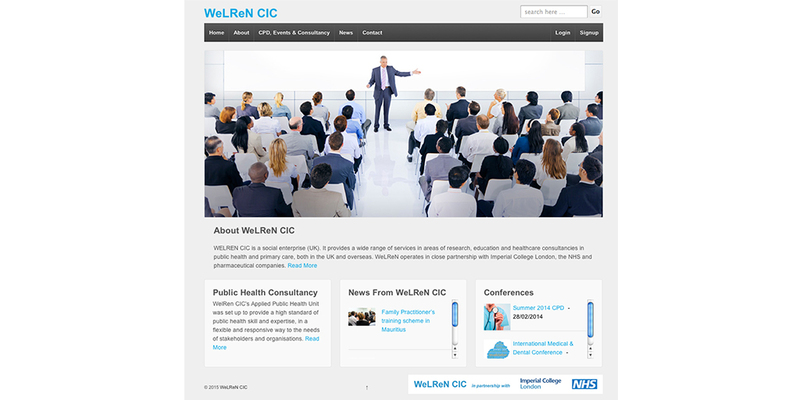 WeLReN CIC is a global provider of research, education and consultancy in public health and primary care. 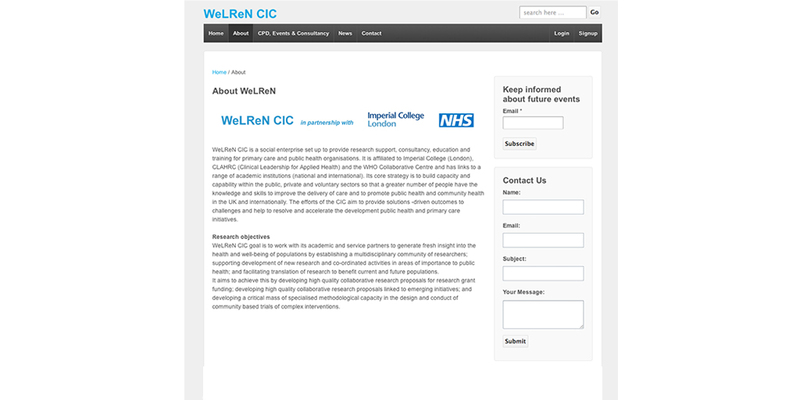 They work in close conjunction with Imperial College London and the NHS. 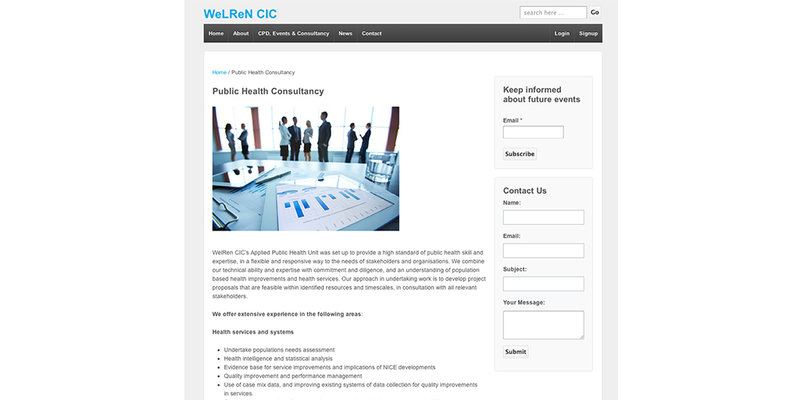 TAP designed, built and maintains this website for WelRen. 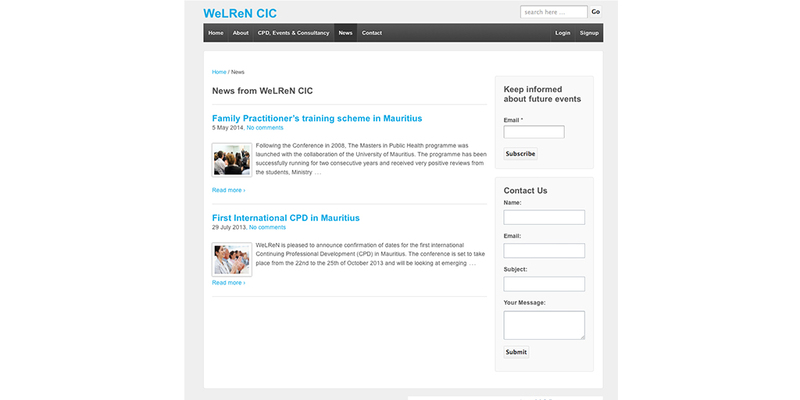 In addition TAP has produced publicity materials for their global conferences.